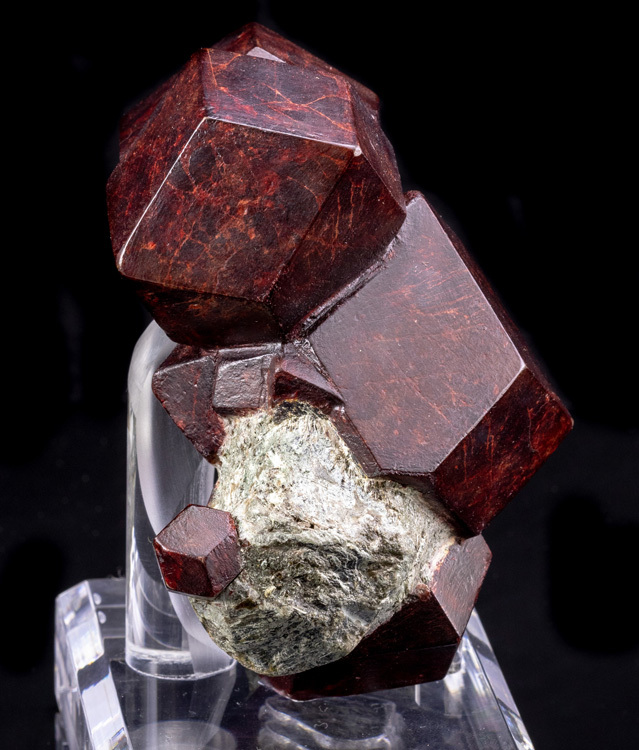 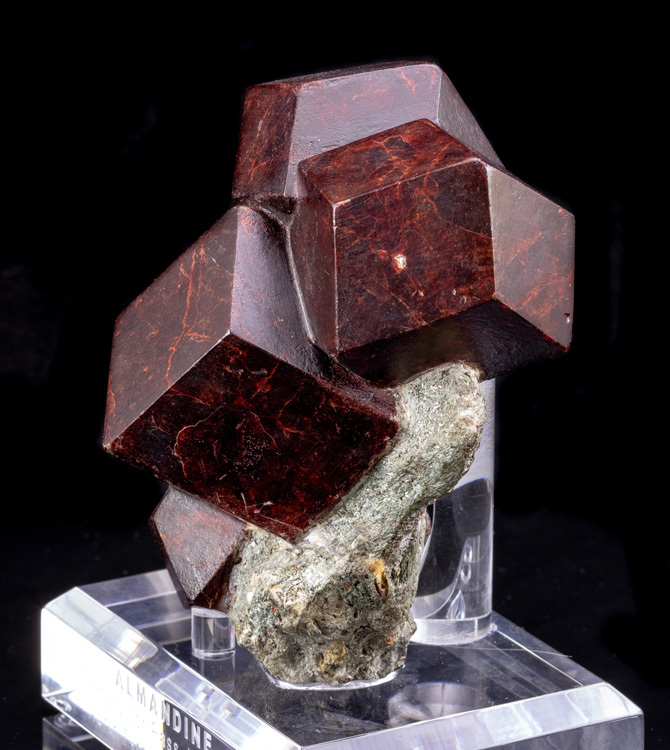 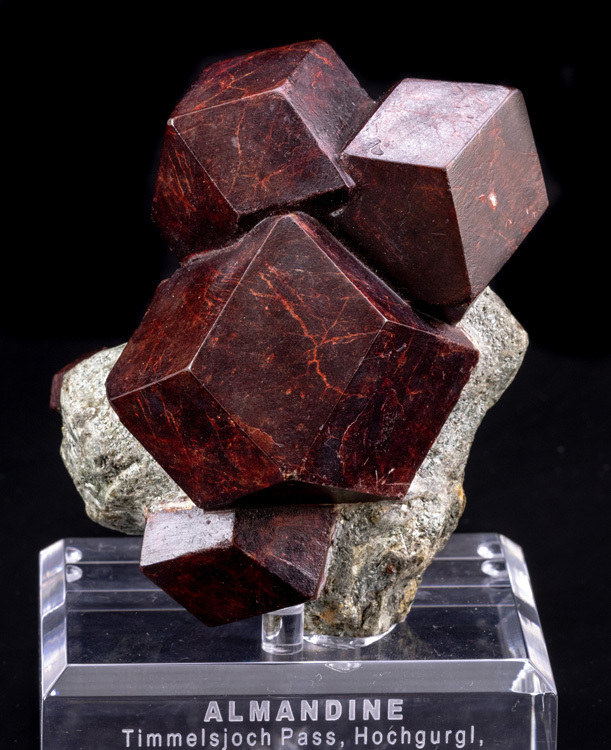 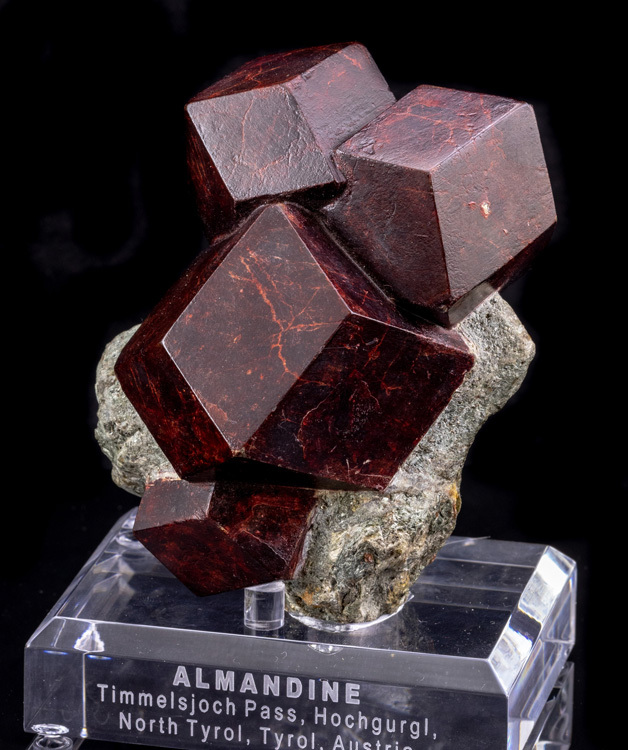 An absolutely gorgeous almandine garnet cluster from Austria! 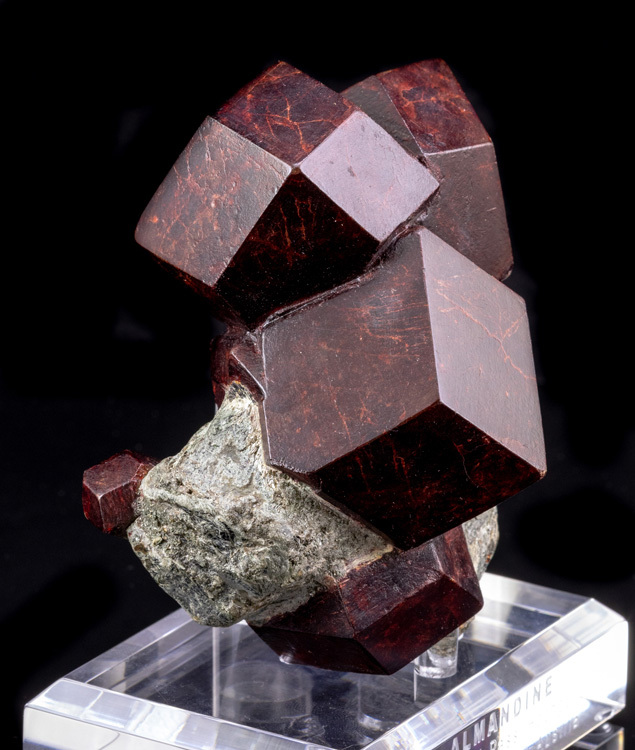 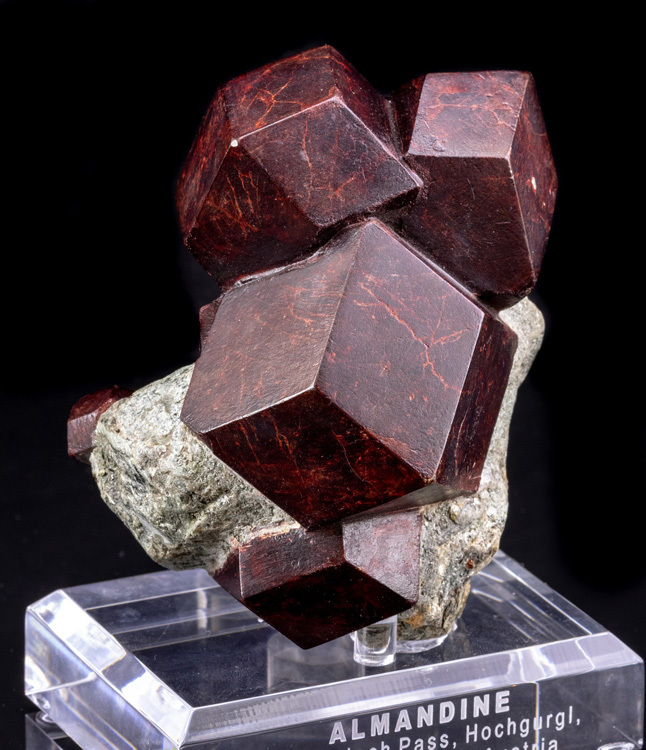 There are 8 garnets on the matrix, and the largest is 7cm wide! 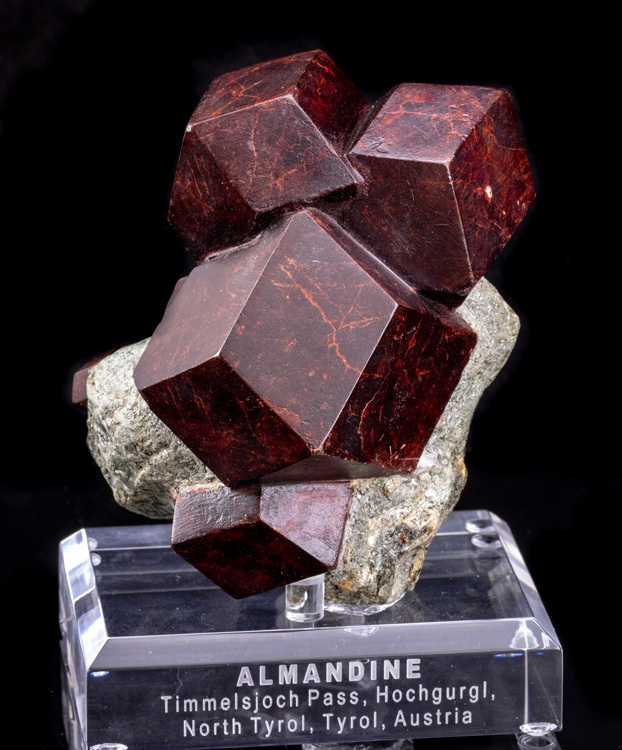 Almandine garnets are usually quite rough, so pretty much all of these kinds of specimens that you see have been through the lab where they buff the faces to clean them up, and this is no exception. 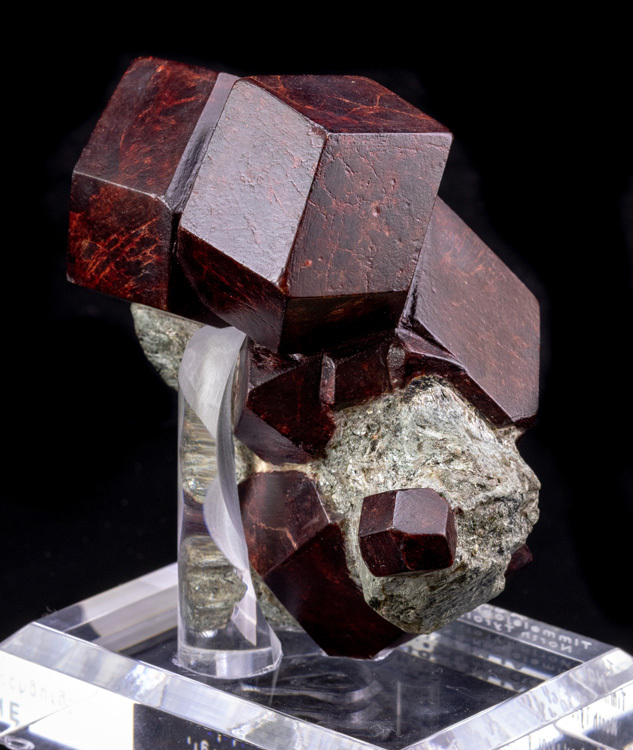 The condition is excellent with just one pit on one of the garnet faces. 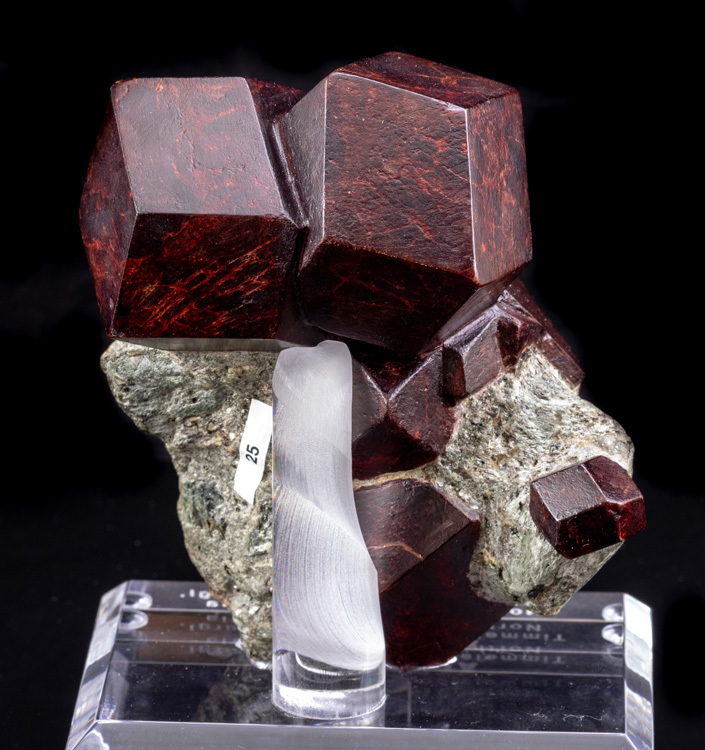 Really and impressive and beautiful specimen in person! 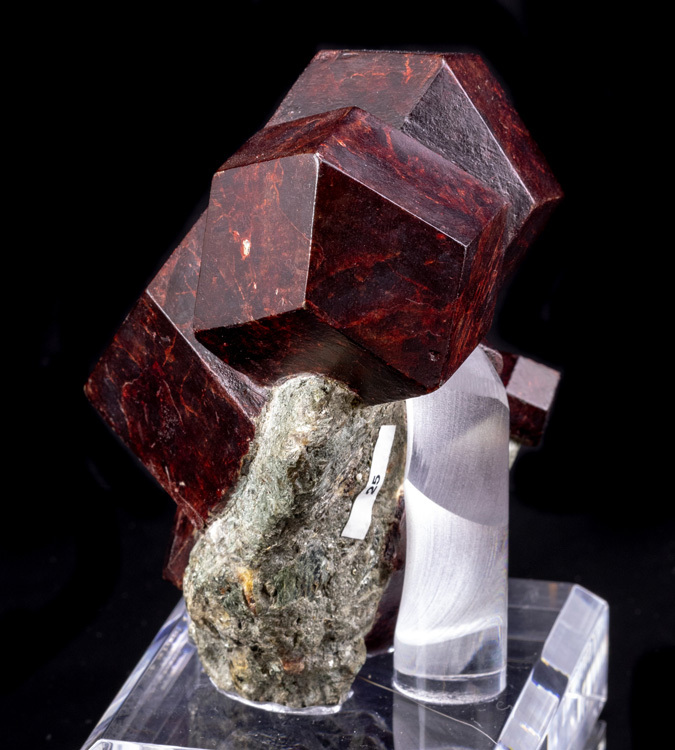 The specimen comes with a custom acrylic display base.